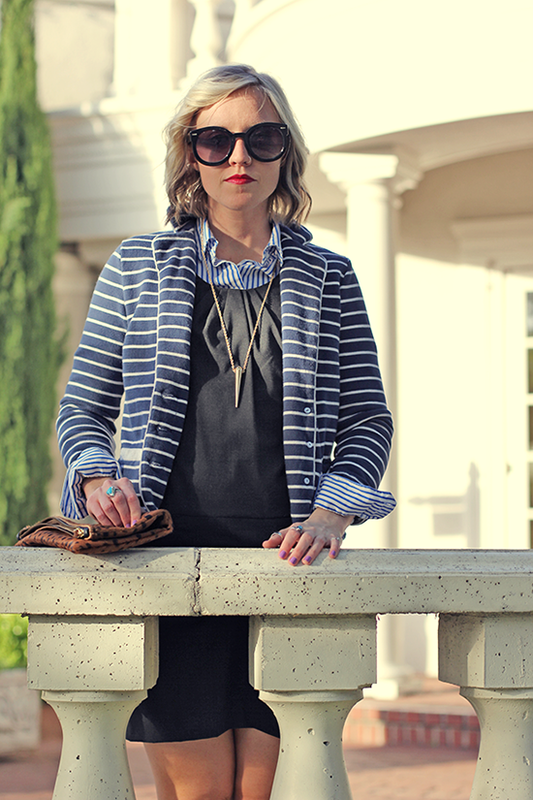 Kira, from Northern Style Exposure, and I have teamed up to show two takes on mixing stripes! I am loving the bow Kira has tied underneath her collar—a great way to accessories if you don’t want heavy jewelry on. The dress I am wearing is key for layering. I love being able to slip it over a striped button up for a dimensional look. Roll up the sleeves on your blazer and you’re ready to go! 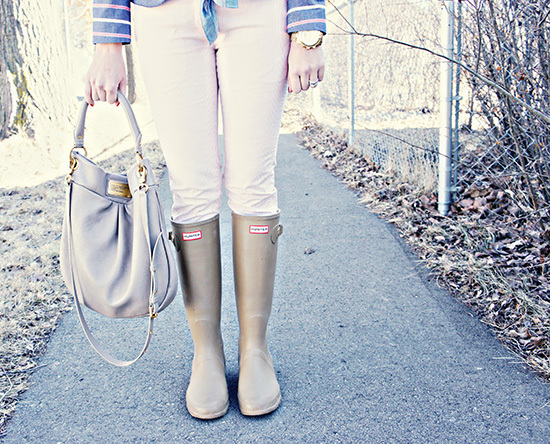 I love both of your outfits, stripes always looks to me like the perfect touch of fun to an outfit. Oh my goodness, I love love love this look!! Love both takes! Your outfit is definitely something I would wear. You are so cute! 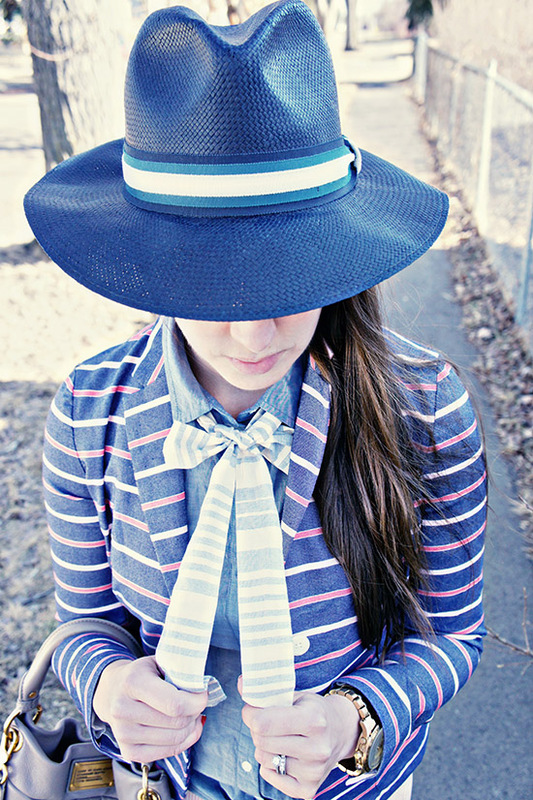 I love how you styled the striped blazer with that dress. And your shoes are so cute too! I love your blazer sooo much! Fell in love with your first look! Stripes are the best print ever! I love both of your blazers! Your dress is perfect too! These are such great looks! I love both of your striped blazers. I need to wear mine again! I love both of these outfit! You hair looks fab today too!